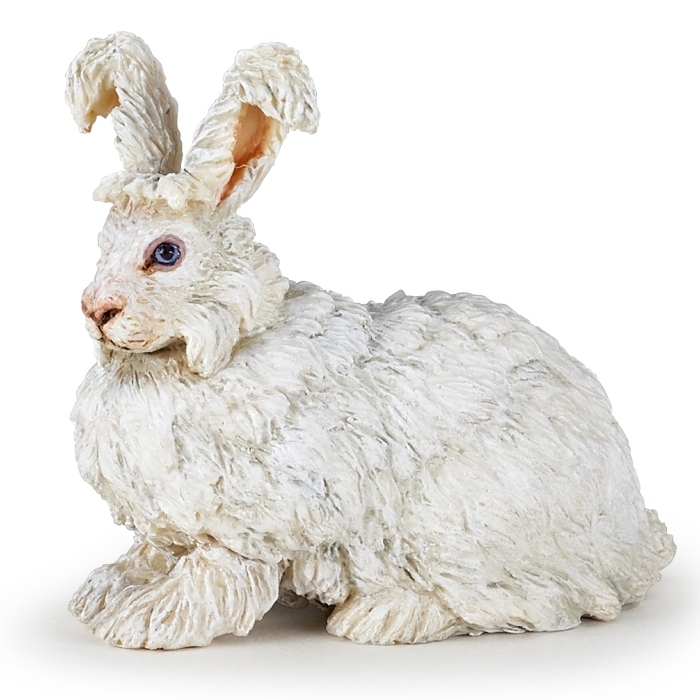 Papo Angora Rabbit - Toys & Learning - Papo Specialists - 100% - Fast Service - Sale Prices. This Papo Angora Rabbit is one of the top quality products from Papo. All these Papo models are a brilliant way for a young person to develop their imagination whilst learning about the wider world thereby broadening their horizons. Angora rabbits are extraordinary, they have big fluffy coats which must take a lot of grooming, fortunately my angora rabbit does not need looking after at all as its just a pretty little model made by Papo, Perfect!